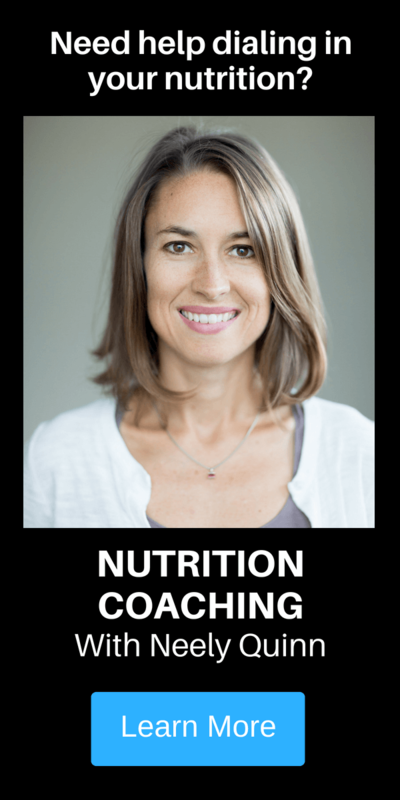 Esther Smith is a Doctor of Physical Therapy, a Nutritional Therapy Practitioner, and the owner of Grassroots Physical Therapy in Salt Lake City. 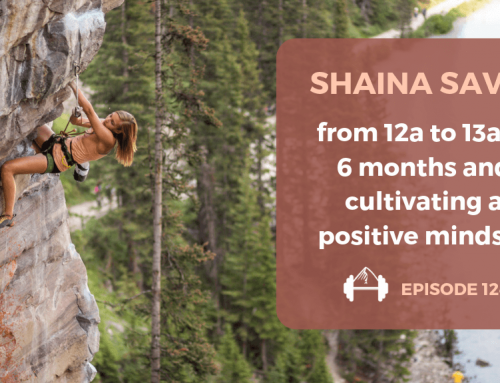 She is a 5.13- climber who’s reaped the benefits of her own physical therapy practices, having healed a shoulder injury through exercises, stretches, and alternative therapies. She works almost exclusively with rock climbers, which is rare for a physical therapist. I wish I lived in Salt Lake City so I could go see her myself! For a complete bio and list of certifications and qualifications, please visit www.grassrootsphysicaltherapy.com. Esther recently acted as the physical therapist for the women’s Black Diamond Bootcamp, where she helped Babsi Zangerl heal a shoulder injury WHILE she was training hard. In this first of 3 interviews with Esther, we focused on shoulder injuries and how to heal them. 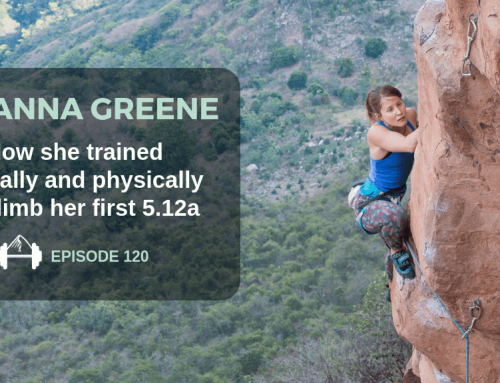 Neely Quinn: Welcome to the Training Beta Podcast, where I talk with climbers and trainers about how we can all get a little better at our favorite sport. I’m your host, Neely Quinn, and today we are on Episode 66, where I talked with Esther Smith. Esther Smith is a physical therapist out of Salt Lake City, and she can be found at grassrootsphysicaltherapy.com. 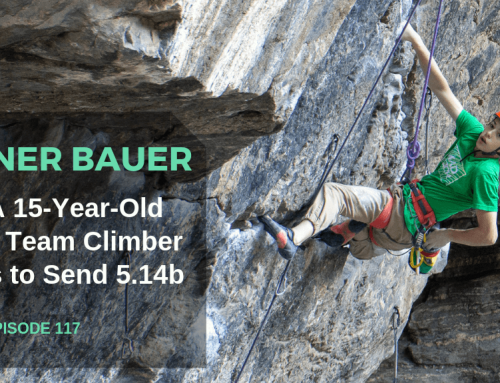 She is a climber, and she climbs 5.13 in her own right. She also works almost exclusively with climbers in the Salt Lake City area, which is really rare, I think, for a physical therapist. It’s really lucky for the people in Salt Lake City, because after my surgery I wish I’d had a physical therapist with a ton of experience with climbers, but there’s nothing like that in Boulder. She and I talked today about shoulders. I think I’m going to do a series of three interviews with Esther, and one is going to be on shoulders- that’s today. Then we’ll do one on elbows, and we’ll do one on fingers, because she’s a ton of experience with all these things. So like I said, today we’ll focus on shoulders. Esther actually had a shoulder injury herself, and she healed it herself, without surgery. That helped her in her own practice with treating people with shoulder injuries, and she’ll tell you a little bit more about that injury and what she did for it. She also recently worked with the women’s BD bootcamp, with Babsi, Daila, and Colette. She helped Babsi with her own shoulder injury, and she’ll tell you about that too. Next week I’m going to be gone, I’m going to be in the Red River Gorge- that will be super fun. So I won’t do a podcast episode next week, but I’ll resume the week after that and go from there. 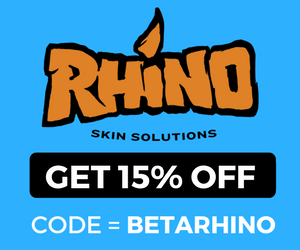 Before we get into the interview, I want to let you know that Friction Labs is my favorite chalk company, and they give you guys some really great discounts on their stuff over at frictionlabs.com/trainingbeta. Sometimes they give you 50% off of their products, sometimes you just pay shipping to get a free sample of their chalk. Definitely check that out at frictionlabs.com/trainingbeta. Alright, here is Esther Smith, I hope you enjoy this interview. Welcome to the show Esther, thank you very much for being with me today. Esther Smith: Thanks Neely, I’m happy to be here. Neely Quinn: For anybody who doesn’t know who you are, can you give us a description of yourself and what do you? Esther Smith: Sure. I’m a climber, first of all, and I’m also a physical therapist. I own a private practice called Grassroots Physical Therapy, and I’m in Salt Lake City, Utah. The majority of my practice is really associated with climbers, and I’ve been doing so for the last six years, just about. My practice allows me to work with professional climbers, and really everybody in between, from novice to the weekend warrior. My style is a little bit eclectic, I do a lot of manual therapy, I’m certified in mechanical diagnosis and therapy, I’m also a nutritional therapist. It’s definitely a blend, but it’s been really awesome working with climbers for all these years, and treating hundreds of them, and seeing some patterns about injury and about what really works- and what doesn’t seem to work so well- for climbers as they train and climb. Neely Quinn: Yeah, I think it’s really impressive that you’ve made a practice out of almost exclusively climbers, not a lot of PTs can say that, right? Esther Smith: Yeah, that’s true. And I think Salt Lake City is an interesting place, where we have such an amazing dedicated group of climbers, and a lot of them. That’s what’s cool- that climbers are really really passionate about their sport, and about being able to maintain doing their sport well into their later years. That’s kind of a cool thing in this community too, we have a lot of older, really strong climbers. It is unusual, but climbers aren’t just climbing, they’re mountain bikers, runners, skiers, and everything else. Part of my practice is associated with treating climbers, but then I see them for everything else too- all the other tweaks and things that they get from sport, and work, and life. It’s a great population, really dedicated population, and I’m really happy to have tapped into that, and to have been a part of that. Neely Quinn: They’re lucky to have you. After my shoulder surgery I searched for a physical therapist, even in Boulder, who was a climber, and I found one who was sort of a climber, but not really. I kind of wished she knew more about what I was doing to myself. I’m actually interested in how far you’ve taken your own climbing, like how well do you understand the climbers that you see? Do you want to talk a little bit about your climbing? Esther Smith: Yeah, sure, absolutely. I’ve been a climber for about 14 years myself, and it’s been awesome. I’ve kind of dabbled in all the versions of climbing, but definitely have landed in being more of a sport climber. I understand the demands of trad climbing, and bouldering, and sport, but I’ve definitely focused my efforts on improving my own performance for sport climbing. That’s been cool, because over the last five years or so since I’ve been out of school and had a little bit more time to focus on the sport, I’ve engaged in my own training. That training has really gotten me to a different level each year. In the last couple of years I’ve been able to redpoint 13a sport, so that’s kind of the height of the grade that I’ve been able to reach. Through that training, I guess I’ve just really seen that if you set out those goals, whether you want to hit a certain grade, or you want to do different kinds of style of climbing, that if you get the right training you can really achieve those, even on a limited schedule. Which is what I have- where I can train a couple days a week or get outside one or two days on the weekend. I climb mostly regionally, around Utah and Wyoming, and some in Colorado. We take trips out to the Red, and I’ve climbed overseas and stuff before, but ultimately I’m super passionate about sport climbing right now. Neely Quinn: Yeah, nice work, you’ve done well. Neely Quinn: So you mentioned to me recently that you’ve trained with Steve Meisch and Dan Mirsky, is that right? Esther Smith: That’s right, yeah. So Steve, he was awesome. He wrote me a personalized training program a couple of times. One was originally when I was trying to tap into 12+ climbing, and I had all these goals in Maple in particular, for all these 12c’s and 12d’s. I had a sort of list of different climbs. They were all Maple specific, which is more endurance climbing, but they were varied in terms of the crags and angles and things, and demands. It was rad that first time that I trained with him, I hit every one of those goals and more. Neely Quinn: The second time that I trained with him, that was when I wanted to climb 13a for the first time. Sure enough, through that training over the late winter and spring, I was able to meet that goal really early in the season. Again, kind of climbing at Maple, which is one of my favorite summer areas. Esther Smith: Then I followed up the third time, this last summer, with not only wanting to climb 13a again, but run my first mountain 50k- this unsupported run across the Wind River Range with some ladies. So training that way, I was kind of blending some Steve Maisch training with Gym Jones, which is this well regarded training facility also in Salt Lake. That was really cool to see how I could compare climbing hard at my level and running really hard all summer, and match those two. That was kind of fun. More recently, I’m going to the Red on Monday, so I hooked up with Dan Mirsky and asked him about six weeks ago for a pre-Red program, and that’s been cool. We designed that to meet the demands of Red River Gorge climbing, and that’s coming to an end because I’m going on the trip on Monday and I feel stronger than ever. Esther Smith: Yeah, it’s been fun. Neely Quinn: It’ll be fun to see what you get done in the Red. 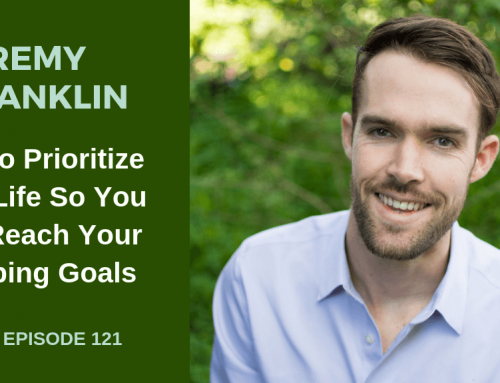 Do you have a specific goal? Esther Smith: I didn’t really set out with any specific climbs or grades there, I just love that place. It’s kind of like a kid in a candy store, so I just wanted to be fit enough to climb a lot of really amazing routes all day long for ten days, or eight days, or whatever. So that’s where I’m at- I just want to have a blast and flash or onsight as much as I can. Neely Quinn: Yeah, I’m going next week too and that’s exactly how I feel too. Esther Smith: Oh fun! Well then we might see each other. Dan will be out there too. Neely Quinn: Yeah, yup. Okay, so I’m wondering if you have personal injuries that you have dealt with that have helped your practice. Esther Smith: Yes, for sure. As a PT, I think it’s unfortunately important to be injured sometimes, so that I can empathize with my populations that I treat, and also understand how to treat myself, and get clues and how that will reflect on others. But then also, it gives me an idea of how I can keep climbing myself while healing and repairing from injury. One of the more significant injuries I had- it wasn’t that significant from severity or intensity- was a shoulder tweak that I developed two years ago climbing at the Pipe Dream one day. It kind of came out of nowhere, but by the time I went to put a coffee mug in my coffee holder at the end of the day driving home, I had total dead arm. And then from there on, I had quite a bit of shoulder pain, range of motion loss, stiffness, pain with climbing and pain with just kind of moving my arm in typical daily activities. I had to figure out what was going on with my shoulder, and get it better. I think that that ultimately helped me understand what people go through with shoulder injuries as it relates to climbing, and how they can sneak up on you, and really kind of come out of nowhere. They don’t really often happen with any sort of traumatic event- they often happen insidiously like mine did. Mine took some finagling, and I had to see some different people, some different massage therapists, get some acupuncture, and some other kind of complimentary treatments- which is always something I really enjoy and explore and network with here, all these other great providers besides myself, to get people better and to get myself better. So that shoulder injury was one, and then I’ve had to rehab my finger tendon-a kind of pulley strain- as well. Those would probably be to the two main ones related to climbing. I’ve had other ones related to skiing and other things, but those are the big ones for climbing. Neely Quinn: So when was that shoulder injury? Esther Smith: It was two summers ago, that summer I was first trying to climb 13a, and I did. I was working on another one, this thing called Sprout in the Pipe Dream, which is really demanding on the shoulder. I don’t know if you’ve climbed there- it’s kind of this traversing, trending climb, and a lot of bad shoulder positioning to be in the holds. It’s something you almost can’t avoid, and I was there on a cold day, and maybe didn’t warm up well or something. What ended up happening- and this is kind of my way of labeling injuries because I don’t really label them so much in terms of the pathoanotomical diagnosis, like rotator cuff tear, things like that. Instead I try and figure out what type of syndrome is going on. In my shoulder, it was a derangement syndrome, and that’s what I see most often in climber shoulders. That means that there’s just off track interarticular tissues in the joint. To get that better, you have to understand how that joint needs to be moved to resolve that. Ultimately, that was kind of my quest- trying to figure out how to finagle my shoulder through repeated motion to get it to clear, and then reestablish that strength and range through those really specific loading strategies. So that’s one thing that I do differently than most PTs in general. 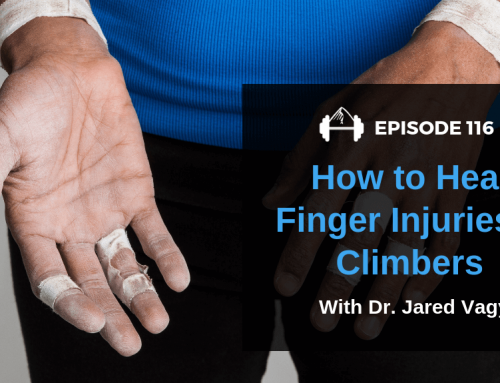 It works really well for climbers, because most climbers are dealing with either this practile disfunction like tendinitis, tendinopathy thing, or they’re dealing with joint hangups, a joint derangement problem. Neely Quinn: So after you had that injury and you went through that, do you feel like you treated your patients differently after that? Esther Smith: Yeah, I did. It helped me to understand that when we’re tweaked, we need to address it first of all right away, and not just sit on injury or hope it’s going to go away. And then the other thing too, was that rest wasn’t going to change this thing. I needed to actively engage in my therapy. So that was really cool to see that if I actively engaged in my therapy, one I could keep climbing, because I could kind of treat my own shoulder while I was at the crag, before and after I got on a pitch. I knew what to do, post climbing days, I knew what to do to rehab it in between, to strengthen. I guess it’s helping me to kind of give context to injury rehab for climbers, because climbers often don’t want to stop climbing, and at the same time rest doesn’t often help climber injuries. So we have to couple the two. We want to keep climbers climbing at a level that is sustainable and helps them to heal and keeps them actively, hopefully, right? And then we want them to be engaging in their own self-treatments, so they’re not dependent on seeing me, so they can kind of take care of their own problem, even when they’re out and about and doing things. Neely Quinn: Okay, I’m really curious about what you did to heal that shoulder injury, and is it resolved or do you still deal with it? Esther Smith: No, yeah, it’s resolved, totally. And it resolved within a month or two- what was another thing that I maybe learned form that. Sometimes, even with all the know-how, and all the complimentary care, sometimes things take longer than you want them too. But if you’re patient, and you’re knowing that what you’re applying is really working, the ability to kind of test yourself- which I always give climbers the tools to kind of test how they’re progressing- and I can explain that a little bit further. Sorry- go back to your question again? Neely Quinn: I wanted to know about how you treated your own shoulder issue. Esther Smith: Oh- yeah. So anyway, with this derangement, you have the ball and socket joint of the shoulder, and that’s the one that’s generally most impacted with climber shoulder injuries, and so that was what I had going on. I had an off-track positioning of my ball and socket joint. Some tissue or something got in the way, so I had pain with certain motions, pain with certain resistances or loads. What I needed to do was figure out how to move my shoulder to clear that problem, to restore my range of motion, and abolish any pain that I had. It ended up working that if I took my hand behind my back and I did what’s called “internal rotation”, and I stretched it up with a strap, or even grabbing a quickdraw behind my back and just stretching it repeatedly into internal rotation, that after I was done with a series of those repetitions, I could come out with my arm and re-engage in those motions that were previously aggravating it, and they would be better. So the more I did that across days and weeks, along with some other stretches and strengthening exercises, the better the shoulder got progressively. I coupled it, like I said, with massage therapy and acupuncture. Esther Smith: So, it’s super specific when you can identify that a joint is deranged or off-track, you need to find the key motion to get it back on track. You can have joint derangements that are coupled with soft tissue injuries, like tears, labral tears, rotator cuff tears, bicep tendinitis. It’s usually a little bit of a blend, dealing with the angry soft tissue and the joint, and getting it back into a good natural resting position. Neely Quinn: What are the most common injuries that you see with climber shoulders? Esther Smith: Again, if I stay away from labeling the pathoanotomical diagnosis, as PTs our tests aren’t great for necessarily saying “You definitely have a rotator cuff tear, you definitely have a labral tear”. We’re better at saying “Your symptoms and your responses to treatment suggest that you are classified into this syndrome, and this is how we treat this syndrome”. Most climber injuries of the shoulder are related to- like I said- that derangement syndrome. We do something repeatedly- whether it’s just climbing movements, daily movements, or we tweaked it in a certain position- to get that better, in my view, we get people better really rapidly if we can identify the key motions to restore that natural resting position of the joint. A short answer to that is, this derangement syndrome is a big problem with climbers, but then I also see biceps tendinitis for sure. I see climbers with rotator cuff tears and labral tears, but they still can get better without surgery, so I see that a lot. We get a lot of- kind of like what I wrote about in that article- these misuse injuries. Most climbers have this issue with poor scapular stabilization, and then coordination of the scapula and the arms. The issues that I see are kind of related to those things mostly. And then not to mention that any shoulder pain, we always have to look back at the spine- so a lot of shoulder pain is actually related to cervical arthrasic issues, or kind of a combination. That’s a big deal, and we all know how climbers are postured, and how we’re using our bodies, and it’s not so great on the spine all the time. Shoulder and spine are super coupled. Neely Quinn: I’ve found that out the hard way with my own shoulders. Esther Smith: Can I ask what you have going on? Neely Quinn: I had a labral teat and biceps tendinitis, so I had surgery on that. Esther Smith: Okay, yeah. That’s a bummer. Neely Quinn: Yeah, no, it’s fine. It’s great now. Neely Quinn:Yeah, it worked. But sometimes I wonder if I had seen somebody who was more specialized, like you are, with climbers, and seen the proper massage therapist beforehand, if I could have avoided it. How often do you see people come to you and just be like “I can’t heal, I have to have surgery”? Esther Smith: It’s very infrequent, which I’m proud to say that even given positive issues on MRI, like small tears, rotator cuff or labral, that they still recover conservatively without surgery. That’s why if we can avoid- if somebody comes to me and looks like they’re progressing, I try to avoid imaging, because sometimes you see more than you want to know, and most people can get better conservatively. There’s only been, in all the hundreds and hundreds of climbers that I’ve treated, I can think of two or three that have gone to surgery. Esther Smith: For shoulders. And that’s true for even elbow issues too, like chronic elbow tendinitis or tendinopathy. People generally can get better from those too, so it’s really infrequent that somebody ends up needing surgery. But there’s a level of patience and diligence. It’s hard to buy into a long term PT relationship. I think the deal is, you just have to see incremental progress and it can’t be plateaued, and you have to really realize that it’s not just time that’s getting you better, it’s actually the interventions. I really try to be specific with that, and again prove to people that they’re doing better by allowing them to test their shoulder and see what’s going on there. Neely Quinn: So, I’d like to talk about a few of the most common patterns of pain that you see with people, because I think that people listening to this- I mean a lot of them are probably having shoulder pain, and they’re probably wondering “What do I do about this shoulder pain?”. Are there common patterns that you see with the pain that your climbers have? Esther Smith: Yeah, totally. And pattern recognition is what it’s all about, in terms of developing effective protocols. I definitely have identified patterns, and within that derangement syndrome problem that I said is so common among climber injuries, there’s patterns within that. The biggest one is that people in the shoulder- climbers- have pain with elevation or overhead arm positioning. So just simply reaching your arm up towards your ear is painful, or reaching out to the side, or reaching back behind. There’s this pain with active range of motion- that’s a pattern. That could be caused by soft tissue, a tear, a lesion, or a muscle problem, but it also could be caused by that joint problem. So that painful range of motion issue, and then there’s pain that’s only generated under resistance. It’s like “I can move my arm fine, but it’s not until I load it and I actually have some resistance against it that it hurts”. Sometimes that’s a little bit more suggestive of a soft tissue problem, or a contractile problem. The biggest ones I think, are the pain with overhead motion, and pain with certain resistances, or forces applied against certain muscles. It’s kind of complicated, because there’s so many different directions the shoulder can be moved into. So many muscles that have different actions. We kind of test all those, and we try to classify and label the problem, and then get them going on a really specific rehab protocol. Another pattern is that most climbers are injured, I think, more frequently off the wall. Not necessarily climbing, but they’re either at the gym, or they’re injured over time by engaging in certain training, or certain off the wall exercises. I feel like more climbers have screwed their shoulders up by doing dips and push-ups and flys on rings and things like that than actually climbing. I think that’s a big part of our discussion- how can we train and improve at climbing and be in the gym all the time and be doing these other exercises and not hurt our shoulders? Neely Quinn: Yeah, my husband hurt his shoulder doing dips- so be careful with those! [laughs]. Which is hard to do, because dips expose our weaknesses as climbers. So do push-ups. I don’t know if that answered your question in terms of patterns, but it’s kind of a tricky question to answer. Within every syndrome there are different patterns, and then those patterns kind of delineate which types of interventions I would use to get somebody better. If you’re sitting there with shoulder pain, it’s hard for me to say- or I guess hard for me to clue in onto exactly what they should be doing, given their certain presentation. It’s a little bit more complicated than that. Neely Quinn: It doesn’t sound like there’s any universal information that you can even give to people on this podcast. It’s just a matter of going to see you [laughs], and diagnosing the issue. Esther Smith: Oh, I don’t know, there’s other PTs doing good work there too, it’s just trying to find a good team in your area. Ultimately, the universal information could be stuff that we talk about- it’s posture and alignment, right? I’ve had a lot of people walk up to me after this article, and say “As long as I hang right, my shoulder doesn’t hurt anymore”. The whole hanging right idea, and preserving our spinal alignment and posture while we climb and while we train- those are universal solutions for everybody with shoulder pain. So is doing the appropriate smaller muscle stabilization antagonist work, that can be really, really relieving. Certain stretches can be super relieving. I’m trying to kind of create some generalizable protocols, and I think I told you, I’m creating a website and separate business called Grassroots Self Treatment, that will be available probably the first of December. I’m trying to create videos that offer generalizable treatments strategies that people can watch for different body areas. One is called “Healthy Shoulder”, and it’s all of the good things that I know about keeping your shoulder healthy, that I put in an hour long video. People can watch it and learn a ton about what they have going on, and also know the best strategies to improve. I’m trying to answer that question, it’s just hard to do it verbally. I think videos, demonstration, something people can watch and learn and be coached through, is probably the better way to go about that. Neely Quinn: I would like to talk about some of those things that you just mentioned- the training of the small muscles, and certain stretches, and how to be on the wall and how to hang properly. The article that you keep referring to is the one that you wrote about Babsi at the BD Bootcamp, on the BD website. For anybody who hasn’t read that, it’s really great, and there’s a lot of photos on it. Do you want to talk about Babsi, a little bit? I have a feeling that she’s probably not a very uncommon person that you would see. Esther Smith: Yeah, except that she happens to be probably the strongest female climber in the world [laughs]. All around. I didn’t even know that really, but I was having a conversation some people that work at BD and they were like “That was kind of awesome, right, to be able to work with somebody at that level? She climbs super hard trad, sport and boulders”. She came in to the training program with a history of more of a chronic lumbar spine issue, that wasn’t actually the thing bugging her. For the BD Bootcamp, when I went out there to San Diego, what was bugging her was her shoulder. She had what we determined was more of a fairly acute case of biceps tendinitis. Again, we didn’t have any imaging. We don’t know if she also maybe had some labral involvement, or other things. But ultimately she just had that tweaky, highly irritated pain at the front of the shoulder, especially when she would do overhead motion, or things that would spin her arm out to the side, or downturned thumb stuff, like gastoning- things like that. I saw them at the very beginning of their training program, but they were initiating their training right then. We didn’t have any lead time really, we needed to get her better as she trained. That was kind of a cool thing to be able to do with her, and I think that most climbers are able to do that. The first thing that we needed to address was “Why did this happen?”. She didn’t actually have a mechanism of injury where she felt something pop or tear, or some sudden event. It just kind of crept up on her. In that case, I started to just watch her hang and move, and I could see- and this is described in the article- that her shoulder mechanics were just slightly off. She wasn’t maintaining that perfect stabilization of her shoulder blade on her back, and her humorous in that ball and socket joint, and her trunk, and everything kind of working together, to make sure that that biceps tendon didn’t get irritated. It’s this little passive structure that lives between bone and muscle basically, and so if you take it and you put it out of position, and then you compress it, and then you friction it, it gets irritated and that’s the start of the tendinitis. We had to figure out how to undo all those mechanical forces, and the thing for her was just really dialing in what she needed to do while she was on the wall. She loves doing push-ups and things, and I just needed to refine her push-ups so that they weren’t irritating to her biceps tendon. As soon as your elbow sneaks out in a push-up, that’s going to turn your shoulder in to internal rotation, and then you’re inflexing, so it’s really irritating. We modified some of her antagonist core work, and then I got her going on really good opening stretch exercises, and mobility flexibility stuff. Ultimately, biceps tendon is not this local problem, it’s also connected in this myofasical system to your pec major, to your pec minor, to your lat, and down into the rest of the arm. The stretches and things had to address these other big muscle groups too. Then we strengthened her external rotators, her rotator cuff, and her middle and lower traps. I only saw her for three days, and I was able to do some manual therapy on her- some massage work, some join mobilization work. Then I peaced out, and she was kind of left on her own, and she did great. 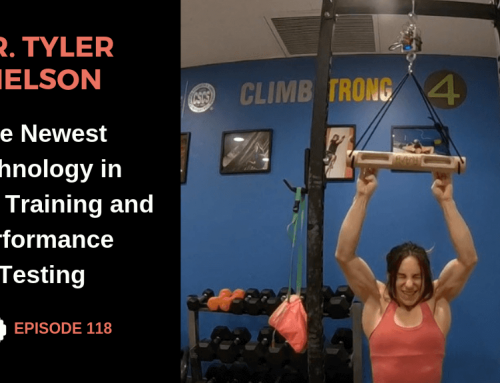 She integrated those concepts- she used the stretches and the strengthening, and integrated those into her training days, which I think is really important. She came back and saw me after the bootcamp had concluded, she came back to Salt Lake for a BD staff meeting and reported that things were great- she was ready to go. It was quite successful, because biceps tendinitis can be a hot one, and hard to manage, but she did super well. Neely Quinn: That’s awesome that she did so well. How bad was her pain when she first started? Was she able to climb? Esther Smith: Yeah she was still able to climb. She’s one of those people who can probably climb through a good deal of pain, so it’s hard to know on a zero to ten scale where it was at. It seemed like it was below a five, so she was kind of working with a lower level tweak, nothing super crazy, and that’s honestly what a lot of climbers live with a little bit. This low level baseline problem, and that’s what- again- needs to be addressed. Just because we’re climbers doesn’t mean that we should be injured, or should expect to be tweaked. I think that we should all be able to climb at really high levels, and train at really high levels, and not be nursing injuries, but be eliminating them, abolishing them, and really performing at a really high level of function without pain or injury. I think she’d been living with this back thing forever, and it maybe isn’t something that’s entirely going to resolve so she was used to that a little bit. I think it’s cool to really focus the treatment with the expectation that it would be eliminated. Neely Quinn: I have the same thing, I have biceps tendinitis in my other shoulder, and I would love for it to go away, I just don’t even think that it can. Esther Smith: I think that that’s common among climbers, that they thing that their pain will never go away, especially as we get a little older. I treat a lot of climbers into their thirties, forties, fifties, sixties. They say “Oh, I’m just getting old, so I should feel broken”. And I totally disagree with that. I just helped this sixty year old woman climb 13d this summer in Maple, and she had the worst looking MRI and x-ray and if she’d talked to anyone else they’d say “You should stop climbing”. She just sent 13d, and she’s in her sixties. Neely Quinn: Oh my god, that’s amazing. Esther Smith: I know! I think you have to believe in the body’s ability to repair and heal. 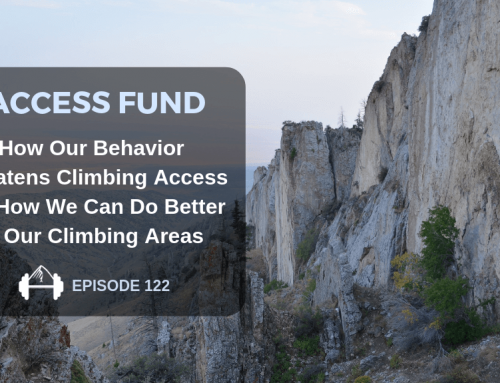 We just have to know what the mechanical problem is, how to address it, how to decompress, how to lengthen, how to strengthen, and then how to get you doing all those good things when you’re actually climbing. So much of training, I think, should be promoting skilled movement, doing all the right core and antagonist exercises in really good for, so all that good stuff is transferred to the wall. That’s where I think the disconnect is. We’re doing all these off the wall strength exercises, but we’re maybe not doing them in real great alignment. Then we go and climb in not so great alignment, and we develop these misuse injuries that then stick around. Ultimately biceps tendinitis is what I would call a misuse injury. We’re irritating it, but we should figure out how to climb without irritating it. I believe that people should be able to get better from that entirely. Neely Quinn: I’m just going to pause here and let you know a little bit more about Friction Labs, which is, like I said, my favorite chalk company for sure. I really love the Unicorn Dust blend, I use that one pretty exclusively. They also have the chunkier blends, the Gorilla Grip and the Bam Bam. I really like the Unicorn Dust, because I feel like when I put my hand in my chalk bag, it coats it. It’s this fine dust, and I love it. They also sell the ClimbSkin double sided hand and finger file. It’s double sided because one side is smooth, and one side is more abrasive. The sandpaper that’s on it is replaceable, so it’s really nice that you can just replace the sandpaper and not the whole thing. I love that, and I use it pretty regularly. I just really agree with what they’re doing over there at Friction Labs, and they’re selling high quality products and high quality chalk. You can check them out all over the country, at a lot of the climbing gyms and REI, but also at frictionlabs.com. Enjoy that, and back to the interview now. I’d like to back up a little bit. You had said that one of the things that was aggravating her injury was the way that she was doing push-ups. I think a lot of climbers do push-ups, and I can’t even doing push-ups anymore because of biceps tendinitis. If you could explain a little more clearly how to do push-ups so as to not aggravate it, that would be awesome. Esther Smith: Sure. Push-ups are a great exercises for climbers, but they have to be done right. First of all, I am a proponent of narrow elbow push-ups. The reason why- are you kind of following me? Like the Chaturanga kind of push-up, where your elbows are squeezing in towards each other, they’re kept parallel. That kind of push-up really becomes a tricep dominant exercise, which I think is good. That’s what we’re trying to go for, an antagonist movement, a push. Our tricep is the muscle that should be extending our elbow in that situation, and if you narrow up the elbows, that puts the triceps in a really good mechanical advantage. If our elbows sneak out at the sides- what we’ve done at the shoulder and why that’s not so great at the biceps tendon- is we’ve internally rotated our shoulder. It kind of spins inwards slightly when your elbow goes out, and then we’ve put it in an elevated position. So now we’ve taken the biceps tendon and we’ve turned it in and we’ve compressed it, against the structures that are- maybe let’s say it’s roof. Then we go and we repeat it twenty, fifty times, and so we create friction there. So to get out of that, you have to not only bring the elbows in and stay narrow, for climbers, but also there’s this active scapula component to it. If you were to reach out your hands in front of you, and reach and your scapula go out and wide around your back, and then you kind of shrink them back and they slide in towards the spine. When we do a push-up, we don’t want our shoulder blades slid in towards the spine. We want them kind of wide, and a little bit pushed out wide around our ribcage. That’s another part of pushing up, is stable scapula and then narrow elbows. And then only going so far so that you can maintain perfect form. You’re not trying to get your nose to the ground or reach your chest forward ahead of your whole body- so it’s like you have this plank and then you’re just lowering the entire plank to the ground. 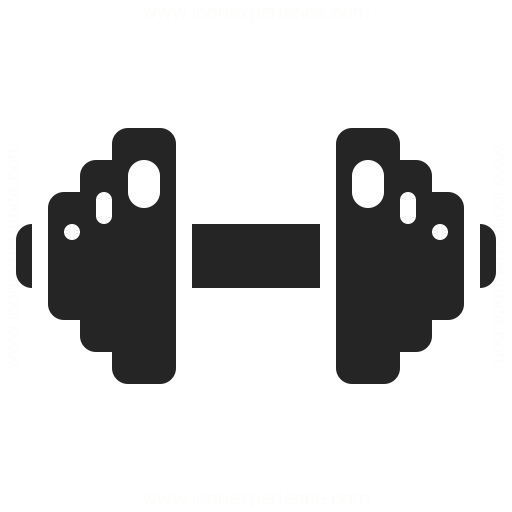 When I have climbers start to push up again, who have biceps tendinitis- I just had one in my room yesterday. She’s doing push-ups on her knees for a while, and it’s incredibly hard for her, and she’s a pretty proficient climber. You wouldn’t believe the 5.14 climbers I see break down doing knee push-ups [laughs]. It’s pretty awesome, and they’re amazed. But done right, you have to fire up so many more muscles- and I think that’s the point. We want to do them in a way doing all these muscles we don’t use. Done without that intention, I think we just end up using our pecs, right? We get all this pec action and that’s not what we need more of. We need more back line action. And it’s the same with dips. Dips just compromise the shoulder position, and so dips have to be done really well so that your ball and socket joint, the head of the shoulder, doesn’t sneak forward on you. That just pounds the front structures of the shoulder. Neely Quinn: Do you want to elaborate on that? Or should we just tell people don’t do dips [laughs]. Esther Smith: Maybe just tell people don’t do dips [laughs]. I was just meeting with some girls that work with me and we just decided that- have you seen people do dips where they just hold themselves in a vertical plank in rings? Esther Smith: Like in gymnastics rings- and you literally just hold a static dip position without bending your elbows? It works all of the same dip musculature along the shoulder blade and trunk, but you don’t go into this bent elbow thing. That’s my favorite way to dip. It’s more of a static held dip in gymnastics rings, versus the lower lift dip where you bend your elbows. You get way more out of that, and if you did those static hold dips, plus you did the right kind of push-ups, those would be a good set to do for that back line musculature. Neely Quinn: So it’s not actually a dip, you’re just in the starting position of a dip? Esther Smith: Totally. You’re in this hollow body gymnastics hold. You try to hold that for thirty seconds to a minute, with really strong wrists, elbows and shoulders in position, good spinal alignment, and a hollow body core position. It’s really hard, and it’s plenty of work without having to do the bends. Neely Quinn: That makes sense, because it’s still opposition. Esther Smith: Yup, totally. And that’s what we want. I think as a sport, we have to start deciding the pros and cons of our decisions in training, and what exercises we’re deciding to do, what are the most productive ones, what are the ones that are really going to help us in our performance without injuring us. I think it’s been a little bit of a free for all in climbing for too long. We get bad beta on things all the time, and climbers love to share beta. The whole hang on your skeleton, or hang like a bag of rocks thing, I think needs to be dispelled. That’s what that article was about. Along with some of these other classic antagonist exercises that these climbers are doing, but they’re ending up hurting themselves. And pull-ups are, in a way, similar too. I see a lot of problems with pull-ups and people doing campusing, and weighted pull-ups, and pegboard. Then they’re lowering off the walls when they’re doing 4x4s and stuff, and then it becomes an elbow shoulder problem too. Neely Quinn: Do you want to go there right now? Esther Smith: Maybe we can address that in a separate talk. Neely Quinn: You don’t want to say anything moe about how to do a proper pull-up? Esther Smith: Yeah, okay. We probably should [laughs]. The pull-up should start from the “hang right” position. If a pull-up starts from a disengaged hang, then that is not a great place to start to engage that musculature from. In the article, it describes how to hang right. That requires a lot of activation of your rotator cuff, you’re in good spinal alignment, you’re in good core engagement, and your shoulder blades are positioned well on your back. That’s the place where you want to start engaging your lat and bending your elbows towards your trunk. 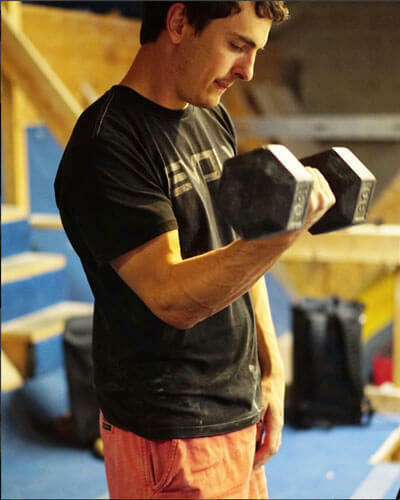 A lot of times, people use their biceps- like they’re bending their elbows to try and get their chin up to the bar, but instead we should be thinking about is how can we move our trunk up towards the bar. That requires more of the lat group, and more of that serratus and posterior stabilization. It’s taking the trunk up, rather than just bending our elbows. That’s what I think is hard for women, who are great climbers but are maybe challenged to do a pull-up. It’s because they’re not engaging their trunk, they’re just bending their elbows to try and bring their chin up. I think the answer there is start from a really good engaged “hang right” position, and then use your really strong trunk muscles to engage into the pull-up. And then decide is it worth bending your elbow that many times under more load and everything else, if you’re already doing a lot of that climbing. A lot of people can get that repetitive misuse injury as a result of overtraining in that one way. I think pull-ups done right should be totally fine, but it’s just about doing them right. Neely Quinn: The article you wrote- once again guys, go to the article because there are some really great pictures about what she just explained, about the “hang right”, and some pictures about how to do it wrong and then how to do it right. Esther Smith: I’d like to segue into hangboarding, because a lot of people are hangboarding now, and I think a lot of people are injuring themselves because they aren’t hanging right. It’s interesting, in the last few years, to watch the trend of climbing to move more into training and people hangboarding. Everybody’s doing it, even if you’re a 5.10 climber- I’m not sure why you need to need to be hangboarding- but everybody’s doing it. I walk upstairs all the time to where that’s all going on in the gym, and I just am shocked at how climbers are hanging on the hangboard. And then they’re putting weight on their harnesses, and they’re just dropped out. Look at the article, and look at the dropped out disengaged hang, and more often than not that’s what I see people doing on the hangboard. That’s what really motivated me to write this article, because I think the whole “hang loose like a bag of rocks” thing was developed to conserve energy while climbing, but for some reason it’s been transferred to every time we hang- whether its pull-ups, hangboarding or campusing. That’s what I think really needs to change, is that when we’re on the hangbaord, we start in that engaged position, and we’re really respectful of all of those little pieces of the puzzle so that we’re not creating any of those friction misuse problems. It’s really supportive of your fingers, the finger flexor tendons, and your elbows too, to hang right at the shoulder. 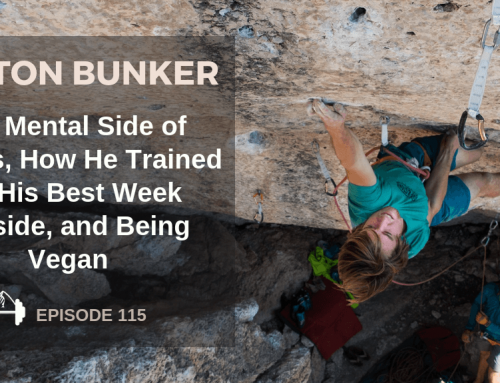 You’ll get more out of that hangboard session than if you’re hanging loose through your shoulders and basically putting a negative stress on the whole system. Neely Quinn: It seems like if climbers are hanging like a bag of rocks- that’s what you call it- and they’re doing this all the time, those muscles that you’re asking us to engage are probably weak. It seems like it’s not just a mental thing, like all you have to do is decide not to hang like a bag of rocks. It seems like you have to train those muscles in order to do it. Esther Smith: That’s such a good point Neely. Neely Quinn: How do you do that? Esther Smith: We didn’t really get to this too much in the article, but I would love to present what I think would be three or five of the best exercise for climbers to hang better- to strengthen the right muscles to hang better, because you’re totally right. I’ve taught workshops on this, and I can say all day long how I want them to hang, but they can’t do it, because they’re weak, or because their structure, their posture, their tendons, don’t allow them to get into the correct position. The major muscles that need to be strengthened to hang right are a handful- and this is of course not going be exhaustive, because it’s such a complicated thing. The human body, I think, is meant to hang. I think we’re designed for that, and I think climbing is a natural human movement. But we’ve lost access to some of the most important muscles that help us do that well, and those are your rotator cuff- particularly your external rotators- your middle and lower trap, your rhomboids, and you’re serratus, and your lat. When I want to have somebody hang right, or I’m rehabbing somebody from biceps tenditis and I want them to be able to hang without pain, those are the muscles that I’m targeting for strength. Then I’m helping them to gain length in the ones that are really tight, the ones that draw us into the not so great posture, like our pec tension, our lat tension, our stiff upper backs, our stiff spine, in general. Then there’s the whole discussion of the core too. It’s wild to see how we can all climb the way we do and have really weak cores. That’s totally a good observation, and that’s what I mean, when we choose what to be doing, we should be doing those instead of push-ups and dips. Push-ups and dips aren’t necessarily going to help us hang better. So if you have problem and hurt when you hang or you hurt when you climb, you should probably be focusing on the ones that really change that for you in a really specific manner. It’s a combination- hardly any climbers that I know are really great about stretching, and I think it’s one of the most underutilized components of fitness, is flexibility. It’s also one of the things that can eliminate a lot of pain- we get really tight and short, and that’s what actually causes a lot of our pain problems, versus being necessarily weakness causing pain. More of it is tightness causing pain. Neely Quinn: You mentioned a bunch of muscle groups there. Like the rhomboids, I think you said the lats, etc. Would you then train those separately? Would you be doing rows, would you be doing lat pull downs? Esther Smith: Exactly. Totally- yeah. You see people doing the pulleys- the turning out and turning in for the rotator cuff work. Variants of those things. And serratus push-ups. For sure lat pull downs, rows, exactly. Those are the scapular stabilization exercises that I think are great. And then the prone work, when you’re on your tummy and doing “T” lifts, and “Y” lifts, and “I” lifts. If you do those right, those are really supportive and strengthening to the middle lower trap zone, and serratus and rhomboids and all of that. That’s exactly right. If you’re going to be training, I think we should also be training those smaller muscles- the ones that we think we need to get stronger to climb, we should be training those to get better at how we climb, and how we train. Even to get into the right push-up form, you need a strong rotator cuff, you need a strong serratus. We need to start from those foundational concepts- strengthen those key muscles, and then we’ll do all of our things better with less pain and injury. I think ultimately, I’ve been really immersed in Pilates for the last couple of years, and Pilates is such a cool system of exercise, that addresses a lot of what we’re talking about. 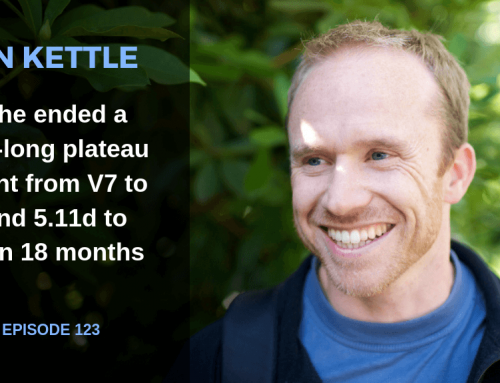 If somebody is listening to this podcast and is like “I have no idea how to do those exercises”, one thing could be to find a really great Pilates studio in your area and have them work with you on your shoulder blade stabilization and mechanics. I think it’s a pretty safe bet that they’ll be able to help you in that way. 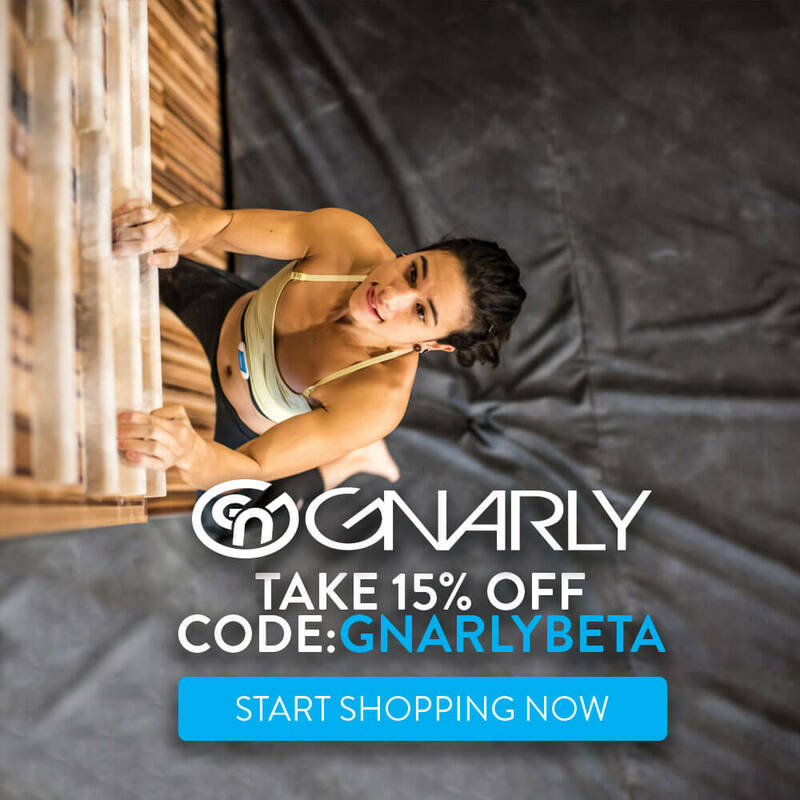 Neely Quinn: Do you think that it’s affected your climbing? Esther Smith: Oh, for sure. Hugely. And just even how I feel on and off the wall, and at work, and everything else. I’m really physical all day long, and Pilates is changing, I think, my structure and alignment. I did that big crazy summer, the huge run, trained a ton for running, and was able to climb hard. I had no injuries. I haven’t had an injury related to climbing through all of that, and I think I would attribute a lot of that to my weekly Pilates practice. Neely Quinn: How often are you doing it? Esther Smith: I usually do it once or twice a week. I do a mat class, which is a core focused class. Then I usually do a private session with an instructor, once a week or every other week. Neely Quinn: Do they work with you on your shoulders and all that? Esther Smith: Yeah. I could go in and say “I want to work on this part of climbing. I’m feeling weak when I’m engaging on a steep climb and I have to toe in and stop and clip”, or something like that. And they will address that super specifically for an hour, and just kill me. Then the next time I go out, I’ll notice that I’m better at that, and that’s a cool thing. I think that’s what we should be able to do with our training and our antagonist work- actually notice that we are better climbers as a result. Neely Quinn: Yeah that would be nice! We have about fifteen minutes left, and I want to do a bit more general questions. One of the major questions I have and something I’m super intrigued by, is that you worked with Babsi on an injury she had, and right as she was starting a training program. I think that, like you’ve mentioned, we think of it as given that we shouldn’t be climbing if we have an injury, and we think that time is going to make it go away. So the fact that Babsi was able to climb through that an train through that is awesome. I’m just wondering if there are any guidelines that you would lay out for people about how to climb through a shoulder injury. Esther Smith: Yeah, good question. First of all, what I always say to people who are wanting to return to a sport, is to answer to the question, if you’re going to do your session of climbing, ask yourself “Did that make me worse?”. As long as what you just did, did not make you any worse, that’s one safety check. I try to keep climbers climbing through elbow tendinitis or shoulder issues, and the rule of thumb is the okay amount of load, or intensity is the one that doesn’t make you any worse. That goes to your therapy too. If I’m giving you loading therapy, like the e-centric twisty bar work, I want to apply that stress but not make you any worse as a result. The way to help somebody keep climbing and still healing, is to apply the appropriate therapeutic interventions and stresses to the body, in a way that promotes healing rather than promoting more inflammation or breakdown. Sometimes what happens is we return to climbing and we go after it- or even maybe just at our previous level- and it’s just a little to much and sometimes you have to back it down, or reduce the frequency or intensity. Or even the angle, do vertical instead of steep for a while, and kind of play with all those variables. Then engage in the actual physiologic healing process. If it’s the shoulder and it’s a joint issue, ten you need to be doing your repeat motion, your joint corrective exercises. If it’s a tendinitis or tendonopathy, you need to be doing your loading exercises. You need to realize that healing is a process, and its usually somewhere in the 6-8 week range for a lot of things. If you can kind of maintain that healing environment where your baseline is no pain with normal range of motion with resistance tests, and then you can sort of get back into climbing, and as long as you return to that zero baseline, then climbing is okay. If you just choose to rest, you’re never changing your baseline. Your baseline might be zero because you’re resting, but as soon as you go to engage that problem again against resistance or demand and its still there, it’s because you haven’t actually asked it to heal. Healing isn’t just about time, it’s about applying the right interventions to signal the body to do something about it. Tendinitis that stays and goes chronic to a tendonpathy or tendinosis is a problem because the body forgot to heal it, or it didn’t heal right in the first place, and it’s just like “We’re not gonna deal with that anymore we have other things to do”. It’s almost like the therapy is reminding the body to heal, and you have to remind it every day, and you have to try to facilitate that environment even as your return to the sport. Neely Quinn: Okay- and I’m just going to back up for a sec- you said if it doesn’t make it worse, it’s okay. Now, that’s kind of a subjective thing because- at least for me- in my healing process with my shoulder, I would go climbing after my surgery and sometimes it would hurt like hell. It would hurt a lot, and it would hurt for hours afterward. But then I noticed it would get stronger and it would get better the following days. What is worse? Esther Smith: Worse is that it hurt after for a couple of hours. For sure, because it was worse, right? It was worse than when you started, or you were aggravated by it, or irritated by it. I think what you found, Neely, is that you got better because you kept moving, or because climbing to some extent was a good stress, but you went just a little bit overboard. Enough that you promoted that ache that lasted. Had you backed that down a little bit, you would have completed that day and had been no worse after. You shouldn’t even think that “Oh, man, I climbed yesterday, and that’s why I feel this way”. Instead, it shouldn’t make you any worse, you know what I mean? I think you said that you got stronger as a result of doing those, even though you were a little bit irritated by it. I think what you could have done, is just backed that down so you could have continued to get stronger but you didn’t add the irritation. Maybe for you, that could be in the future- I don’t know if you’re still dealing with it- is changing your mechanics a little bit so climbing is less of an irritant. That’s where the hanging right comes in. And like I told you, people with this article who’ve read it, I haven’t seen them, and they aren’t doing anything except just hang better, and there shoulder pain is better. So you adjust for the mechanical problem too, and you create better form and posture and alignment, and you can return to climbing with it being less of an aggravator. In your case, if you had engaged in a little less climbing a little more off the wall stuff, you could have gotten stronger that way, and then never had that problem with getting worse as a result. When I give people strengthening exercises or any therapeutic stuff, they shouldn’t experience any of their familiar pain during it. It’s not a “no pain no gain” thing, ever. The only case during which you should have some pain is when you’re remodeling a tendonopathy. Neely Quinn: Remodeling a tendonopathy? Esther Smith: Yeah- big words [laughs]. That might be a separate discussion too- what I think about elbow tendinitis and tendonosis, and how to get that better. You have to re-engage the body in a healing process, and the remodeling of that tissue sometimes requires you to stress it, in a way that you feel your pain, but again- you’re not worse as a result. Neely Quinn: That’s kind of how I felt after my surgery. It was like my body was reawakening or something, and like it had to hurt. That was just the intuition that I had about it- it had to go through some growing pains to re-engage. Esther Smith: You know, you’re right Neely. That’s true for post-operative, that’s a little bit of an exception too, but it hurts like hell after you’ve been in a sling, or you’ve had that trauma from surgery, and you have to regain motion. Post-operative is a little bit different, and so for you, when you return to climbing post-op, you might have had to push through some of that scar tissue and regain some range and strength. That’s a little bit different that somebody who hasn’t had any surgery. Neely Quinn: Yeah, it’s a totally different situation. Esther Smith: Yeah- so that’s a little bit pain and gain, is surgical, post-operatively. That’s a good point. But conservative management of injury, that shouldn’t be the case- making it worse before it gets better, that idea. I don’t see that proving to be true. Neely Quinn: Yeah, no I hear what you’re saying, I totally get that. The last thing I want to ask you about is when you’re on the wall- I saw some pictures of Babsi when she was actually climbing, not just hanging on the hangboard- it was really cool to see how she usually rested and then how you had taught her to rest on the wall. Admittedly, the picture of her when she was doing it wrong was way more familiar to me than the correct picture. Can you talk a little bit about that? Esther Smith: I think that’s true for just about everybody, because we were all given that same beta, right? To drop out, hang on your skeleton, I’ve heard some people say “Pretend like you’re asleep when you’re resting, turn it all off”, and that’s a problem because that puts our structures in not great positioning mechanically. We disengage our musculature, especially through our shoulders and our trunk, our core. Then we put undue stress and strain on the soft tissue- it’s the soft tissue on us that gets hammered, not so much our joints. It’s fine to hang on your skeleton, your joints probably will be fine, but not the soft tissue around the joints. For most people that I instruct in the “hang right” here in my clinic, they kind of get it when they’re on a hangboard, but when I talk about resting, they’re like “Oh no, there’s no way I can recover with that”. What tell people is that it’s 5%. Just turn it on, keep it on, 5% effort, so that something is there keeping you put together. Resting, then moving from a disengaged rest, is problematic too. You just want to be a little bit plugged in, and then they say “That feels really fatiguing to do”. I say then you have to do those other strengthening exercises to make those muscles stronger so they can withstand the endurance factor of having to be turned on, just a little bit, while you’re resting without fatiguing you and draining you. That seems to really work. Anybody who I’ve instructed in that, nobody’s really complained afterwards, that “Oh it’s impossible, I can’t rest that way”. Everybody’s figured out their way to still rest but be engaged. I’m a resting queen, and I think resting is so important, kind of a skill for efficiency climbing. I just try to integrate that- good mechanics but still being really restful. Neely Quinn: While you’re resting, you’re engaging the muscles that you would train by doing the lat pull-downs, the rows, and all that? Esther Smith: Yeah, particularly the small external rotators of your rotator cuff. Those need to keep our arm bone positioned in an open fashion, not just dropping and turning our upper arm bone in as we rest. Can you kind of imagine that, if you fake a disengaged rest, and you let it all slack out- the tendency is for our shoulder blade to slide up towards our ears, and then the upper arm bone to rotate inward. That combo is really hard on the soft tissue of our shoulder. In the rest, we need to have an open turn out of the upper arm, and we need to have our scapula plugged on our back, just a little bit. And we need to have some soft positioning of our elbow, where we are pretty straight, but not completely locked out at our elbow. So those small external rotator, prone Ts Ys Is, lat pull-downs, rows, even that rhomboid or serrates push-up. All those would be great to train the muscles to be able to stand that, to be able to rest and be efficient that way, but not fatigue you too much. Neely Quinn: And maybe the rotator cuff band exercises? Esther Smith: Absolutely, yeah. Those are all great for that. Think about when we are dealing with those small muscles, it’s not lots of weight- it’s higher reps, lower weight. Often the prone work, the Ts Ys Is, are done at body weight, because that’s enough for those little muscles. We don’t need to be throwing tons of poundage at it, and that’s why the bands are great. It’s about the endurance of those stabilizing muscles, so when you’re engaging in those it’s lower weight higher reps, for sure. Neely Quinn: I think this goes without saying, but with the lat pull-downs and the other exercises that you’ve been mentioning, I think we have to make sure that our posture is pristine while we’re doing them, otherwise there’s no point in doing them. Esther Smith: Yeah, it’s so true, exactly. I just really want that to be the message for climbers. And that goes without saying too, for the way we sit at our desk, in our car, at the crag. Let’s not be the hunchback population, you know? Let’s really dial in pristine posture, because pristine posture means that we are respecting our alignment, and our joints, and our soft tissue, and our spine. We’re also way, way more engaged in our core when our posture is in line. It’s just incredible when you slack out of that good posture, how your core slacks out too. I think ultimately if we can prove to climbers that they’ll be better climbers and stronger if they have better posture, that might be incentive for people to straighten out and do their exercises in more of an ideal way, for sure. Neely Quinn: We need some motivation to straighten up [laughs]. Esther Smith: Yeah I know. I’m the posture police around my local area, running around the crags telling everybody “Stand up!”. Esther Smith: Yeah, it’s pretty fun, but ultimately, I think as climbers, we can all do this sport well into our sixties, seventies, whatever, and not be injured, and be healthy, and continue to push the ceiling. That’s what’s so cool about our sport, and even this momentum that we have now, in the last five or six years, everybody’s doing more, going harder, training, and it’s so awesome to see. What I want to see with that is less people getting inured in the mean time, and that we do it really well. I think we need to get the right information out there, and you do a great job of that. I’m so impressed with your podcast, brining in all these great people. We’re all preaching the same thing, it’s just coming from different perspectives. I kind of have my own little world here where I’ve developed my own lens, and pattern recognition, and I kind of see what I see, but it’s really cool that you’re creating a network or pool of information that’s really helping climbers. Neely Quinn: Thanks! Speaking of which, I’d like to have you on again, to add more to that pool of knowledge. I’d really love to talk about elbows and fingers with you. Esther Smith: I have a lot to say on that. I’ve developed some really cool protocols for rehabbing the classic stuff- the elbow tendinitis and flexor tendon and pulley issues in the fingers. That’s one thing I did with Dan Mirsky in the BD Bootcamp Number One, was we rehabbed his finger injury that he’d had for a long time while he trained. Again, we got him better while we went into a training program with a finger flexor pulley injury, which, classically, all climbers are like “Oh I’m doomed” or “I have to rest this thing”. I kind of rocked his world by saying “We’re load that sucker up, we’re gonna make it stronger”, and it worked and it was rad. Ultimately, I’ve seen hundreds of cases of tendinitis and finger injuries, and one person maybe had to go to surgery. It’s just really successful protocol, so I’d love to share that with you. Esther Smith: Well I’m going to the Red on Monday, so maybe after [laughs]. Neely Quinn: That’s gonna be really exciting, I think you’re going to rock a lot of people’s worlds with that. Esther Smith: It’s good information and it’s what climbers need. Ultimately we ned to know why we’re doing things and really apply it in a scientific way, and understand our anatomy and physiology. I think climbers are geeky enough that they can really appreciate that, so I would love to help contribute to that pool of knowledge for sure. Neely Quinn: Nice. Where can people find you again? Esther Smith: My clinic website is grassrootsphysicaltherapy.com, and I’m in Salt Lake city. Check me out there, or on Facebook at Grassroots Physical Therapy. Shortly, hopefully in late November and early December, I’ll be launching grassrootsselftreatment.com. That’s gonna be all the online resources- videos, retail, hard goods and tools for people to be able to self treat, and get the education, coaching, and instruction. Myself and my favorite Pilates instructor, Eva Kaufman, have developed these hour long videos per body area, and we cover elbow tendinitis, neck pain, shoulder pain, hip, knee, and back in these videos. It’s gonna be a really cool website coming soon. Esther Smith: Yeah. I’m trying to make myself a little bit more available than to just my local community, and that’s a good thing. Neely Quinn: That is a good thing- there’s a dearth of good physical therapists out there I think, so thanks you for your work. Esther Smith: I appreciate it, and I have more fun working with climbers than just about anybody. It’s a great population of people who really like to solve problems, ultimately, and that’s part of why we like our sport- we’re really invested. I’m happy to be a part of that. Neely Quinn: Well thank you very much for your time, and hopefully we will talk soon. Esther Smith: Cool, thanks so much Neely. Neely Quinn: I hope you liked that interview with Esther Smith. She, again, is a physical therapist out of Salt Lake City, so if you’re in that area, you can go see her if you have issues. Also you can find her at grassrootsphyscialtherapy.com. We’ll have her back on in December to talk about elbows. She says that she has some really good protocols that have been super successful in helping people with elbow issues. I’m excited about that. 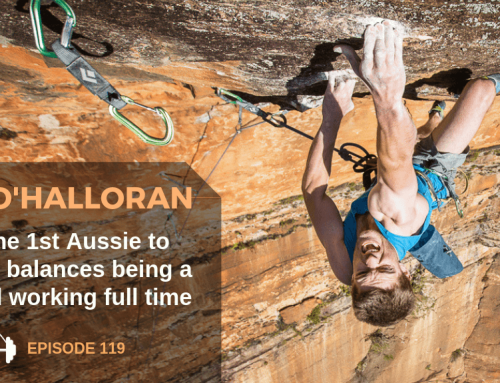 Coming up on the podcast, I’m going to do another regular climber interview. I haven’t decided with whom yet, but I really want to hear more from people who don’t climb super duper hard, who we can more relate with on at least the level that they’re climbing at. I’ve asked my friend Alex Stiger- I’m calling you out here Alex. Hopefully she can come on the podcast, because she’s a coach for kids, but she’s also had some really great success in her own training recently. 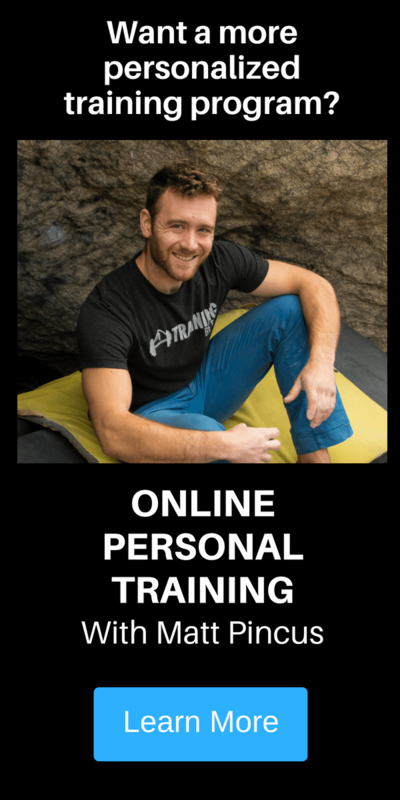 If you need any help with your training, we have our route climbing training program, and we have our bouldering training program. Both of those are subscription training programs, where you pay $15 a month, and you get three workouts every week. They’re unique, and you go through six week cycles of power endurance, or power, or finger strength, all while maintaining what you’ve already gained in previous cycles, and it’s ongoing. You get new workouts for about a year and a half, and then it recycles to the start. You start with the power endurance program, because everybody can use power endurance pretty much. 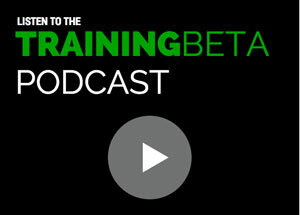 You can go to trainingbeta.com, and at the top you’ll see “Training Programs”, and you’ll find the subscription programs in there as well as all of our other training programs. Whenever you purchase those programs, it’s supporting me to continue doing this podcast and everything we do over here, so we really appreciate the support. I think that’s it- I’m off the to the Red in a couple of days. I’m super psyched, and I’ll talk to you guys when I get back on the week of November 14th. Until then, climb hard, have fun, have fun training, and I’ll talk to you soon.